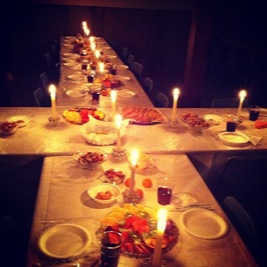 Worship will start in the fellowship hall downstairs and will include an Agape (which means love in Greek) Meal where we will sit around a common table and eat foods such as bread, olives, nuts, fruit, honey, cheese, wine, and juice, similar to what Jesus and the disciples might have eaten. This service will also include Holy Communion, and some of our children and youth will receive their First Communion. The service concludes by moving upstairs to the sanctuary for the traditional stripping of the altar. Join us for this special service! Please RSVP, if possible, so we can better prepare. Sign up in the gathering area or by contacting the church office by phone (715-273-4617) or email.